Congratulations to Pearl, winner of HALF IN LOVE WITH DEATH by Emily Ross! Check back next week, where we will announce the winner of this weeks giveaway–Jenna Blum’s THOSE WHO SAVE US. Louise Miller can’t believe her book is on Amazon. And Goodreads. She knows there are a many milestones ahead, but it is these little ones that really make her feel like this whole publishing-a-book thing is really happening. She hopes you all have the cheeriest of New Years! 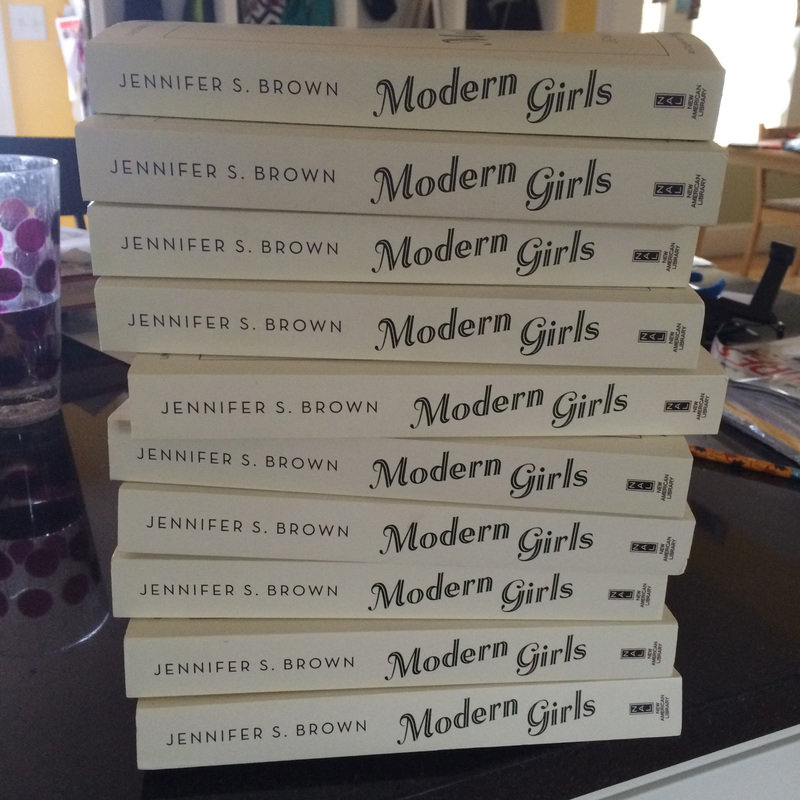 Jennifer S. Brown is feeling butterfly-in-the-stomach-y as her bound galleys have arrived! These are the uncorrected page proofs (without the fancy cover) that are used for review purposes. Just four days until almost all the Debs are in pub year! How is this going by so fast? Heather Young is still working on her first pass pages, which are due January 4. This involves meticulous poring over words looking for typos and making the occasional, very tiny, edit, and is very difficult with all the holiday hoo-ha going on! Abby Fabiaschi has unedited bound copies out with many of her favorite authors. The idea of talented writers reading I LIKED MY LIFE makes her a little woozy. Work on WHATEVER HAPPENED TO LUCY BISCARO? continues. Stay tuned and happiest of holidays. Aya de Leon is sending her kid to holiday camp so she can get in a bit more writing while school’s out. The good news? She’s over halfway done with the draft of her 2nd novel, and waking before dawn to squeeze in some writing in between holiday parenting and family festivities. FLARE: The Flagler Review is looking for evocative, compelling fiction, poetry, creative nonfiction, and artwork for its Spring 2016 edition. FLARE is the literary journal at Flagler College in St. Augustine, Florida, and prints two publications a year. We seek new, up-and-coming, and established writers and artists. Deadline for the spring issue is January 15. From BOAAT Press: “I no longer desire what I used to desire. I must wait—supposing that such a thing could happen—for a new desire to form,” writes Roland Barthes in Mourning Diary. Consider the gaps created by what is (un)said, the chasm between the unconnected, the distance in syntactical usage of dashes, parentheses, blank spaces (what else?). Montaigne wrote that “we go gaping after things to come and unknown,” so how do we perform unknown in our essays? With negative space? Disparate thoughts? Fragments? The spaces between sections and even sentences? Is elusiveness a form of desire? Submit up to 300 words for a special feature on the gaps in essays for the March/April issue. Deadline February 15.